So I visited Piecky gorge in the Slovak Paradise National Park last Sunday and I must say that it was one of the best trips I’ve ever made. 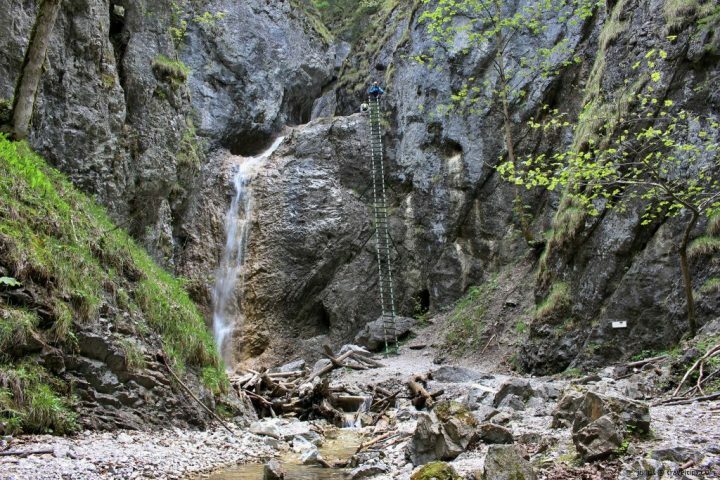 It was a beautiful and valuable hiking tour through one of the largest gorges of Slovak Paradise. 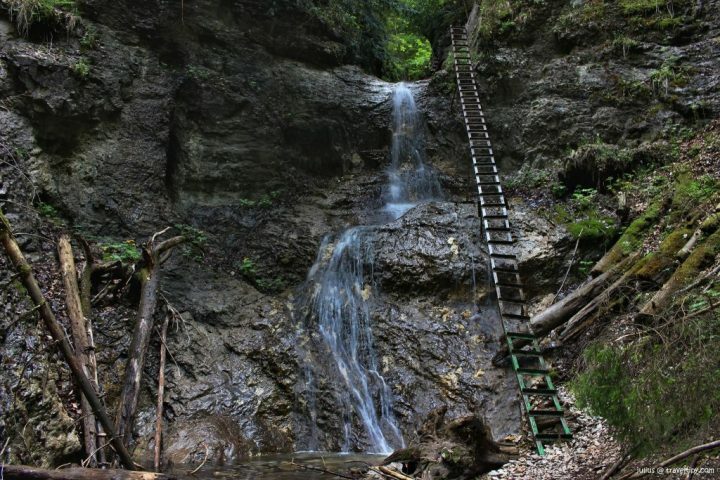 I enjoyed countless wooden benches, chains and ladders on the way, along with a lot of water in form of various streams, waterfalls and small ponds. 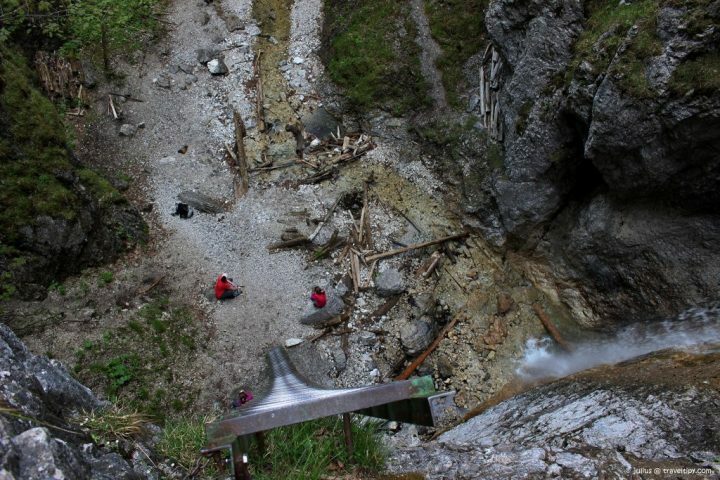 And of course, pristine nature of Slovak Paradise – one of the most beautiful national parks in Slovakia! 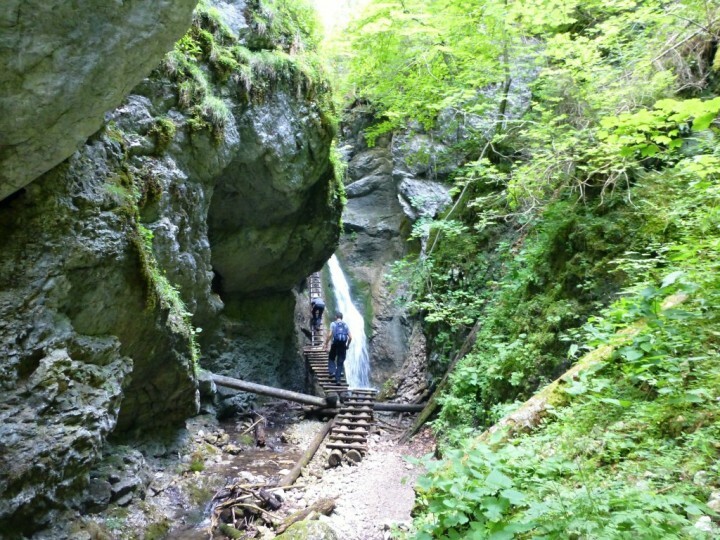 There are several options to visit Piecky gorge. 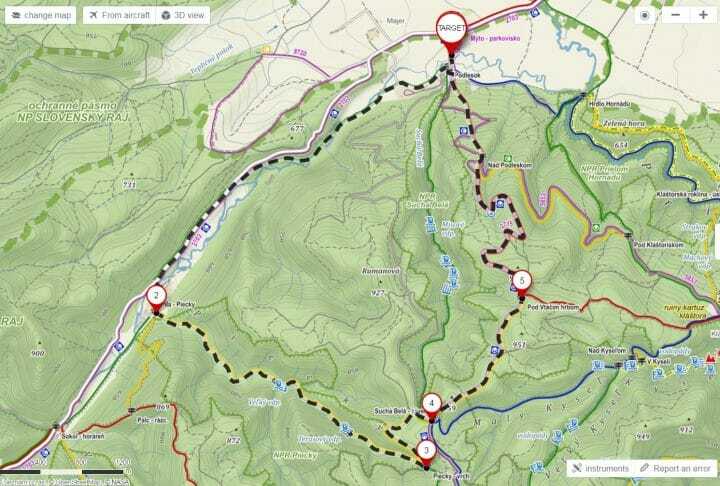 I started a tour in Podlesok resort where I left my car in a parking spot for 3,-EUR/car/day. 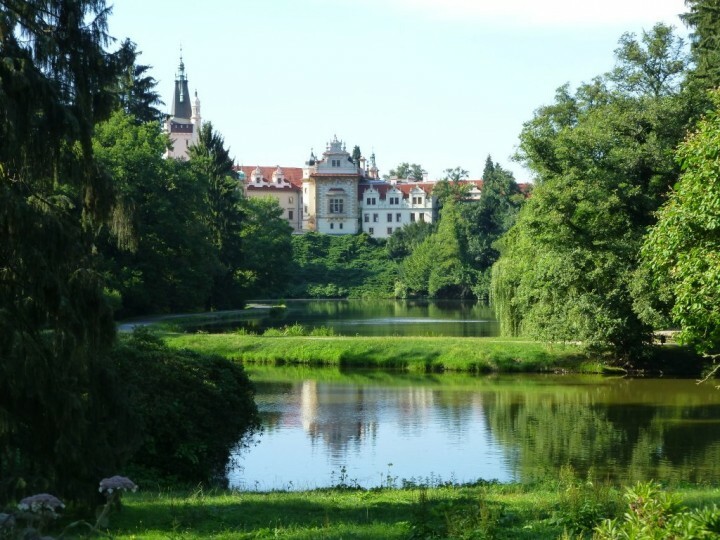 From here you just have to follow a green hiking trail leading along the small river called Veľká Biela voda. After 4,2 kilometres and about 1-hour long walk, you should come to Píla-Piecky, another small holiday resort. And here it all starts! You are at the bottom of the Piecky gorge! Turn left and change your way from green to a yellow hiking trail and after few minutes you will find yourself in a fairytale. The land of waterfalls, crystal clear streams, rocks and old trees and strange animals that you hardly find anywhere else in the world. 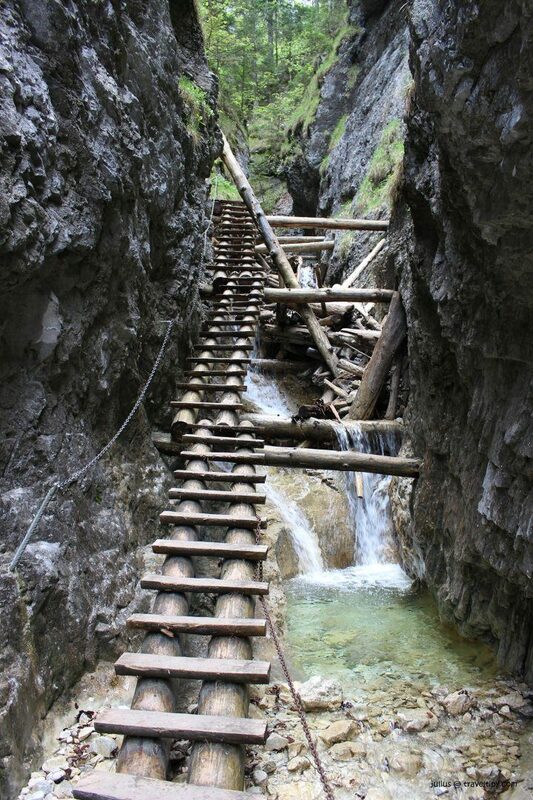 The Piecky gorge is accessible only one-way, from the bottom up! 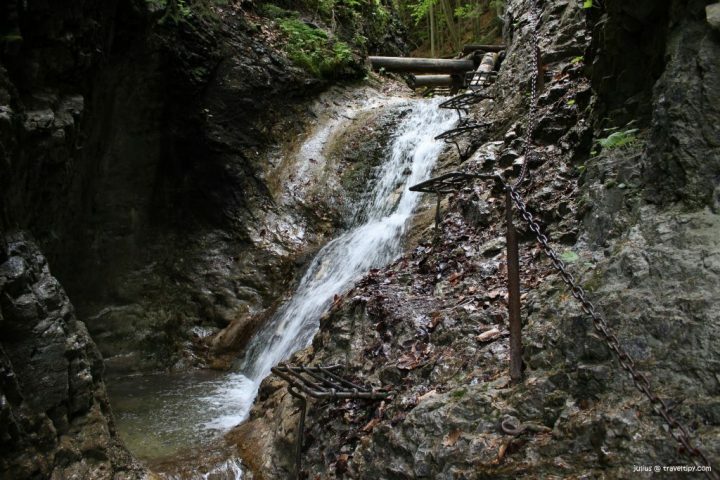 The hiking trail leads upstream and you will definitely need high waterproof hiking boots as you’ll need to step into the water in some places during the trip. Also, the proper sole is required to avoid slipping on a wet and stony surface. The second part of the tour continues through the wonderful pine forest back down to Podlesok. There are several accommodation options here, including camping, wooden cottages or even a ranch. 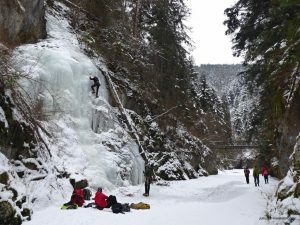 And on the next day, you can continue your Slovak Paradise discovery in any of several other gorges, such as Suchá Belá gorge, Veľký Sokol gorge, Prielom Hornádu canyon and others (all of them start in Podlesok). And as you already are in the most beautiful part of Slovakia it would be a pity not to visit other great places in Kosice region or adjacent Presov region. 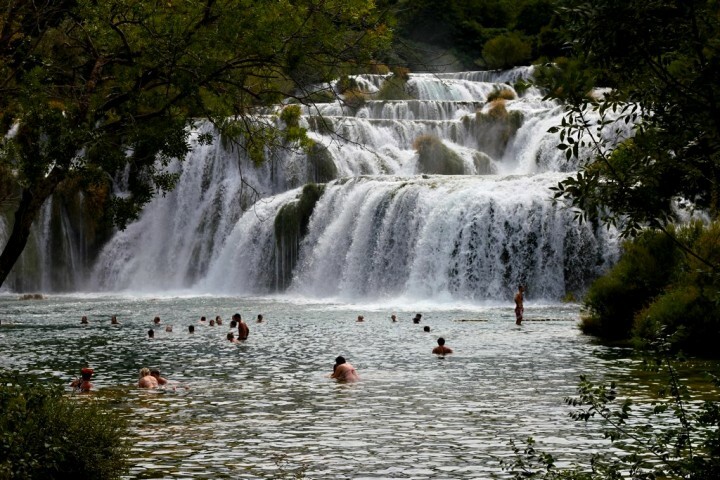 Croatia’s National Parks – Visit Croatia and its 8 natural wonders!